NERVES (Neurosurgery Executives’ Resource Value and Education Society) is the first national neurosurgery practice manager and administrator society in the United States. This organization is the result of an initiative by CSNS. Like other medical subspecialty societies, NERVES was established with the purpose of helping neurosurgery practice managers and administrators network, combine resources to gather information, and learn from their colleagues about how to build stronger practices. Membership dues are $250 per year (January 1st to December 31st ). 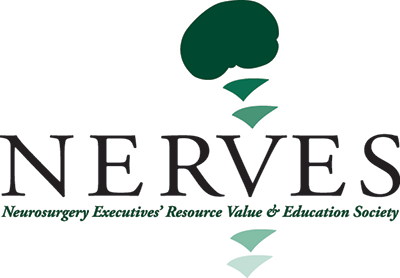 To join the Neurosurgery Executives Resource Value & Education Society (NERVES), click here to apply for membership online.